3. 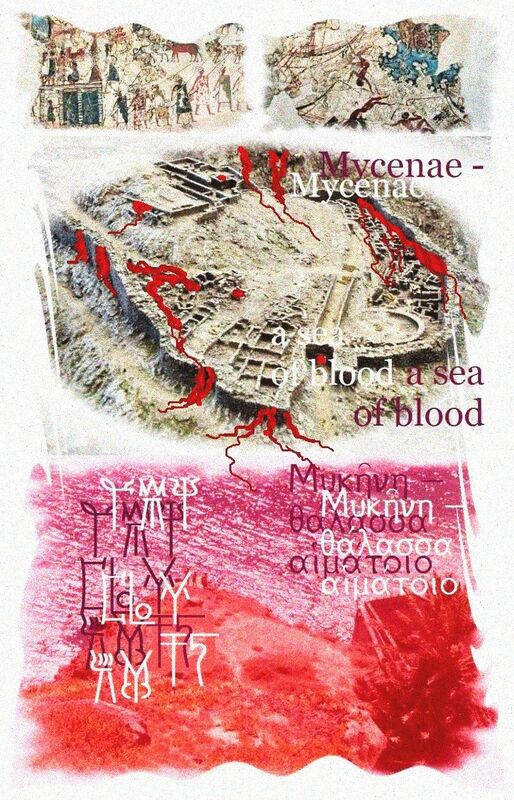 Mycenaean Civilization (ca. 1650BCE-1200 BCE). 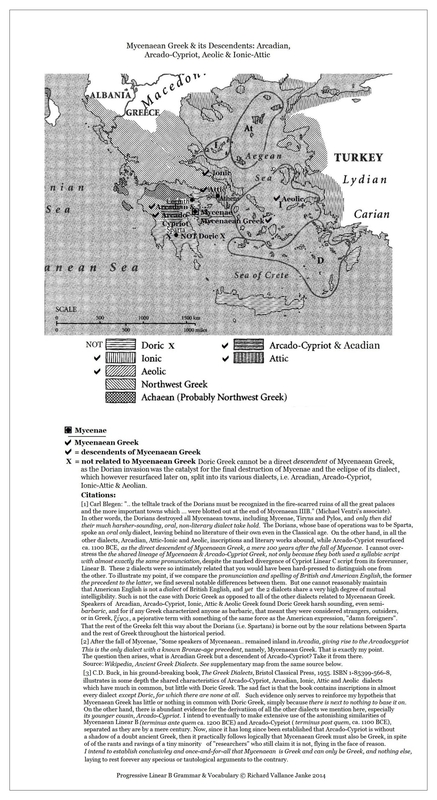 Sir Arthur Evans devised a methodical and practical Timeline for Minoan Civilization, by deriving it from the Egyptian Timelines as outlined in 1 above. 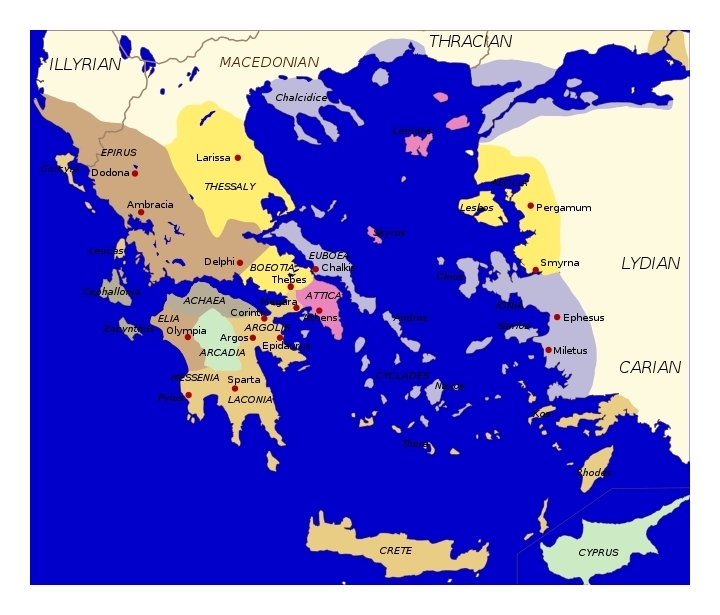 His assignation of Periods for Minoan Civilization is still in wide use even today, though it has been modified and revised several times in the past century. Moreover, researchers and archaeologists specializing in these 3 civilizations are at wide variance in their interpretations of the timelines for each of these civilizations, and to such an extent that there are scores of variations in the relative relationship of all 3 timelines to one another. 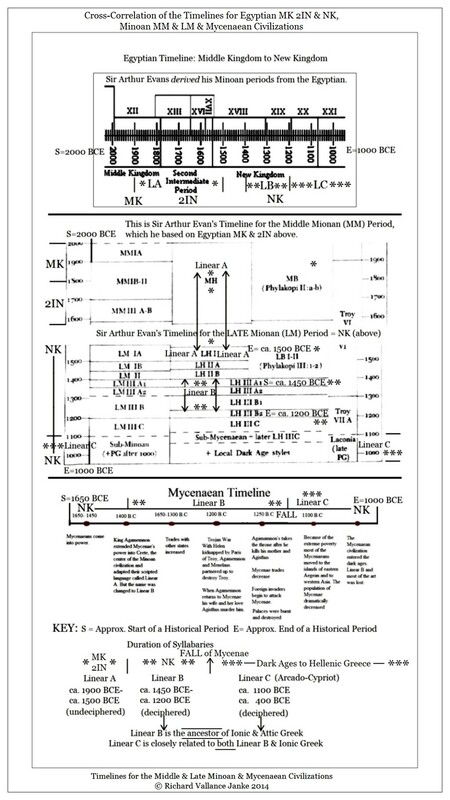 Some would agree that Evans' estimates for the MM & LM periods are reasonably close to the timelines for MK 2IN & NK, while maintaining that the timeline for the Mycenaean civilization does not correspond to that given in this table, while others would argue that MK 2IN & NK do not correspond to Evans' MM & LM, at the same time maintaining that the Mycenaean timeline illustrated here is sound. Still others claim that at least 2 or all of these timelines are out of whack, or that some or none of them are valid. So we end up with a fine mess. However, for the sake of consistency and relative clarity, I have adopted the Table of Timelines you see here, without however claiming that it is any more accurate than any other timeline, and reserving judgement on it until such time as I am convinced that this particular timeline is possibly or probably invalid. For the time being, however, I am in no such position, not yet having even minimally investigated the correlations between the timelines for these 3 great civilizations.